LINCOLN PARK — The much-anticipated Blue Door Farm Stand cafe and retail shop opened this week on Armitage. The restaurant will focus on seasonal food and drinks from local farms and farmers' markets as well as from Chicago investor Fred Latsko's Blue Door Farm. The 2,000-square-foot Blue Door Farm Stand, 843 W. Armitage Ave., features Intelligentsia coffee, sandwiches, salads, soups and gourmet small plates. The restaurant also offers cold pressed juices such as the "Green Goodness" consisting of green apple, kale, cucumber, lemon and ginger. Some items off the menu include a cheese board, a charcuterie board, dips and plates with sweet potato hummus, blue cheese and walnut spreads. 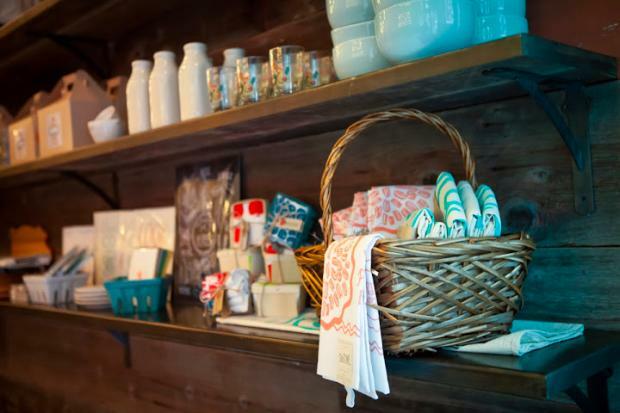 In addition to the cafe, Blue Door Farm Stand's retail market offers picnic baskets, gourmet food goods and gifts from crafts people across the U.S. There is seating for about 40 people inside.